Despite being attached to a state that is completely landlocked, Assistant Professor Todd Humphreys of the the University of Texas has released a video detailing how he and his team managed to deceive the GPS aboard an $80 million luxury yacht. The test, conducted in early July, stealthily overpowered the ship’s receiver, without sounding any alarms. After which the researchers were free to tell the ship that it was anywhere the wanted it to be. 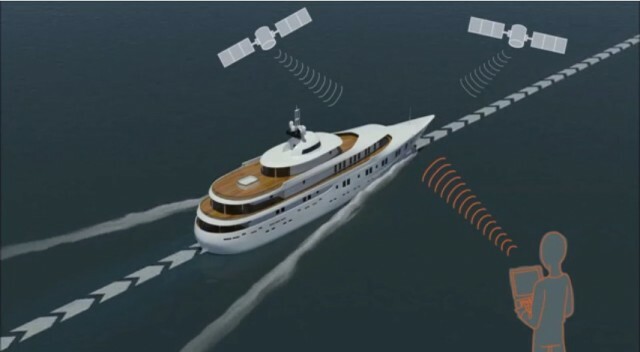 Talking to Ars Technica, Humphreys mentioned that while his test was done from the yacht itself, GPS spoofing could be done from as far as 20 to 30 kilometres; as long as there was line of sight to the target. GPS signals lack authentication or any other sort of encryption, which makes attacks like easier to perpetrate. Fortunately, researchers have been aware of the possibility of this for some time and have published papers on what can be done to avoid it. In the mean time, it might be a good idea to learn to navigate by starlight.